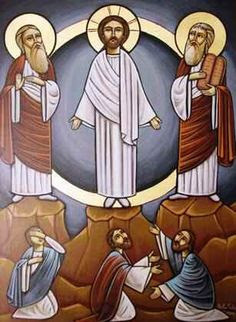 As I was preparing my sermon to preach today I knew the gospel was the Transfiguration story—story not historical event. Honestly, I yawned. Not that it’s not a WOW of a glory story with powerful spiritual implications about divine resurrective (not a real word, but true) intentions, but I got no zing as I read the biblical account in Mark. When I am to preach I always read all the assigned readings well ahead, hoping that something will spark my imagination. I know that traditionally we Christians are supposed to preach from the gospel, but if my zing comes from another reading, even a hymn or a collect, I follow it, crediting—or blaming, or shunning personal responsibility—the work of the Holy Spirit. For this sermon I had two zings. First, I noticed that Jesus ordered his gawking disciples down the mountain, leaving them not a moment to bask in the glow of glory they had seen seen on Jesus. Was this like an all-body halo effect? No wonder Peter wanted to start a building campaign so they could remain forever close to the magic WOW should it reappear. But no go. Jesus ordered them to keep it to themselves as they left the scene and went back down the mountain and into the messiness of earthly life. The high and the letdown are familiar experiences for us all. I believe God is in both glory and mess, and both are in God. Let’s face it, the whole Bible is quite a mess. The ancient redactors collected all the oral and written materials intending to create one tidy, consistent, fixed, single volume of authoritative material. What they had amassed was a mess of different voices and perspectives and genres. How would they clean it up? They didn’t! They left it all in there. The astonishment is that they canonized diversity, difference. And they canonized the tension that accompanies such remarkable diversity. Then they called it ALL Holy. So? We have to discern meanings, and we have to engage in dialogue with those who hold different understandings than we do. No ONE is all right or all wrong. Boy, does that get messy. Second zinger: I noticed that the assigned Psalm 50 ended for us today at verse 6. What happened to the other 24 verses? It’s cheap grace to blame some lectionary committee. Better to find out what is left out and wonder why. The psalms are rich in diversity: bursting with old and new, lament and praise, curse and blessing. Every emotion and circumstance imaginable is in the psalms. They are not doctrine but prayers, rent from the depths of human souls seeking God, stretching for God. And sometimes God responds directly. Guess what? The whole speech of Godde to the people is what was omitted from Psalm 50 today. We should leave out God’s voice already? Why? Well, maybe because the God who speaks is Godde the judge. When we are frank we admit that the image of judge is not congenial to many of us. (Of course there are many wise and compassionate judges, but . . .) The idea of a divine judge makes some of us quiver. The divine judge outlines what is detestable: lies, adulteries, thievery, hatred, speaking against God, citing Godde’s flaws, etcetera. And today I’d add: sexual harassment of any kind, exploitation of any kind, corrupt dealings, Church and corporate cover-ups, and more. You forget how to be holy, God says, speaking as the one just judge, the creator and owner of all living things. Every continent is mine and all that fills it. What then is the judgment of this God? What does Godde desire? What does this psalmist, so deep in her or his prayers, discern in the divine judgment? It is this: The only sacrifice I desire is your gratitude. The one who sacrifices gratitude pays me the only true tribute. How amazing. That should be easy, right? Not at all. I am not grateful for suffering, violence, lies, human oblivion to holiness, racist, sexist, ableist, classist injustices. No. Neither is God, but NOTICE: God’s judgment does not equal God’s abandonment. But can I, can we, choose gratitude? It is a choice. Can I choose it in the midst of both the glory and the mess? Gratitude I think is close to absurd hopefulness. Can we choose hopeful gratitude in the mess as well as in the glory? Not on our own, no. The psalm closes with these words: The one who sacrifices gratitude pays me the only true tribute, pay attention to the road. I will illumine to you the visible salvation of God. Attend. Watch. Creator-God will illumine visible salvation. Visible—in shining faces, lovely windows, on mountains and in gulleys, in grace and in sin. God will illumine. Oh, God, thank you. Thank you.